This was a 2017 Champion Carnival match. What an excellent match. The match featured a very well executed story that was paced well and took place in front of a very lively Korakuen. It was basically everything you would want from the match in this spot. 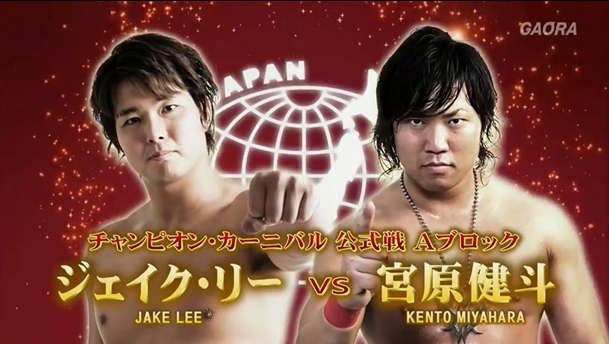 This entry was posted in All Japan Pro Wrestling and tagged Jake Lee, Kento Miyahara on April 16, 2017 by TJ Hawke.